NEW YORK, March 1, 2011 /PRNewswire/ —Wine & Spirits magazine releases the results of its 22nd Annual Restaurant Poll today, reporting on the most popular wines in America’s top restaurants for the fourth quarter of 2010. Sommeliers commented that their high-end clients were spending more generously, specifically on the classics rather than the cult wines. 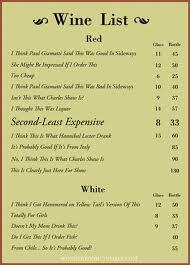 And overall, they report that wine sales are on the rise after a two-year hiatus. 62.6% of respondents said wine sales had increased as a percentage of their restaurant’s total sales; meanwhile, the average price for the Most Popular Wines in Restaurants has hovered at $62 for the last five years. This year’s exclusive Restaurant Poll report appears in Wine & Spirits’ April issue, which goes on sale at newsstands and bookstores Tuesday, March 15. The Poll ranks the popularity of wines by brand, variety and country of origin, as reported by sommeliers representing Zagat Survey‘s most popular restaurants across the US. Italy remains the most popular source for imported wines, though it gave up some ground this year to Spain, Argentina and Greece. France held even at 13.3% while Italy dipped slightly from 17.0 to 15.7%. Spain rose to 5.1%, Argentina rose to 4.1% and Greece hit 1.3% — providing enough fodder to create a list of Most Popular Greek Wines for the first time in the history of the Poll. The Poll report includes “The Restaurant Top 50” — the 50 brands that received the most mentions from participating restaurants. Copies of Wine & Spirits’ April 2011 issue featuring the Poll results are available by mail for $7, including postage and handling. Members of the press interested in receiving the publication or scheduling an interview with Joshua Greene may contact Siu Ki Wan at 212-695-4660, x31, or email skwan@wineandspiritsmagazine.com. The press may email Wine & Spirits at the above address for a password to access the online results. Founded in 1982, Wine & Spirits is published eight times a year and read by over 200,000 members of America’s wine community. Consumers and wine professionals read the magazine for information on established and up-and-coming regions and producers, the art and science of viticulture, industry happenings and food and wine pairing. Wine & Spirits, the only wine publication to win the James Beard award five times for excellence in wine writing, evaluates more than 10,000 bottlings every year.